KUKORICA CSÁRDA IN BALATONFÖLDVÁR is a traditional hospitable place for guests by the Lake Balaton with great history. 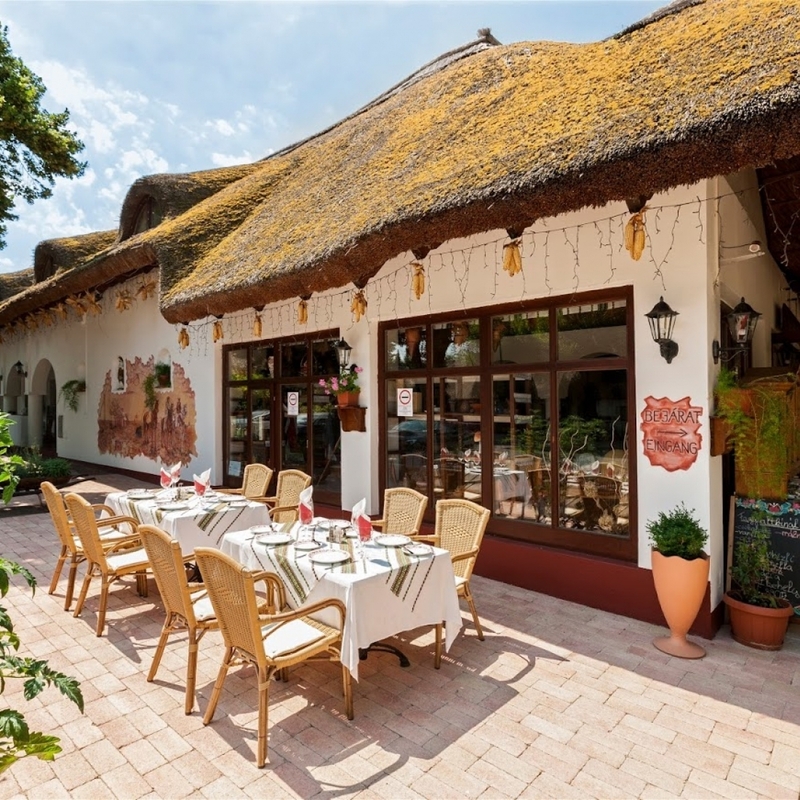 It is a thatched restaurant built in the old style so it can bring back guests to 19th century circumstances. Hungarian and international food specialities allow you to look into the secrets of traditional Hungarian cuisine. The inn, which is capable to welcome 500 guests at a time is situated by the main road and only 200m far from the port, is easy of approach on land as well as on water. The inn has its own bus park and awaits its guests on 365 days of the year. In the restaurant we can arrange a wide range of different programmes: starting from the humble dinner with gypsy music through wine-sampling until the very attractive country wedding with folklore performance. We assure our guests to have a good time thanks to the 30-year-old hospitable family business and the gastronomical experience. DON’T JUST TASTE, BUT FEEL AND LIVE THE TRADITIONAL INN EXPERIENCE! If you don’t want just a simple delicious lunch or dinner, but want to make it unique, more intimate and unforgettable, look up to the many possible programmes we offer you and choose the best for yourself. If you have different wishes, please let us know, we do not know the expression impossible request!